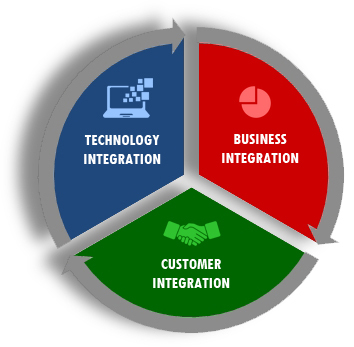 JD Soft’s SAP Application Integration Services include seamless system integration and alignment, complex technologies and changing business environments. Considering these primary elements into consideration, you need to integrate the latest technology components into SAP enterprise suite that can seamlessly align with your business and drive organizational efficiency. Often, organisation are impacted by various business situations such as Mergers and Acquisitions (M&A). M&A requires that the consolidated organization should practice uniform “Business Processes” and have single views to and of the “Customer” with a single set of “Products”. Thus such events have impacts on all the layers of information in the enterprises concerned. JD SOFT consultants and services help clients achieve their business and information consolidation goals in schedule and with the desired accuracy.